NaturalNews) In case you haven’t noticed, there’s an incremental push right now by the controlling elite to force vaccinations on allAmericans, both young and old. 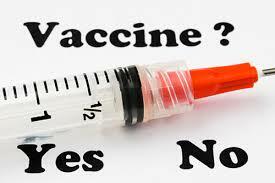 And this agenda is gaining considerable traction in California, where legislators are now moving forward with plans to force childhood vaccines on all adults who work in daycare centers, both private and public. RFID chips for all benefit claimants! coming soon to a town near you!